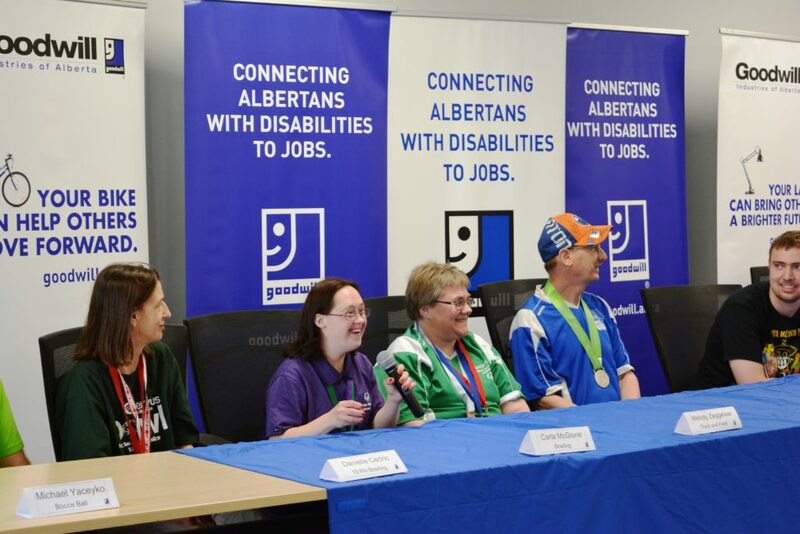 Edmonton, Grande Prairie, Calgary – AB (July 4, 2017) – Goodwill is celebrating 20 employees and Power of Work career training participants taking part in the Special Olympics Alberta Summer Games. 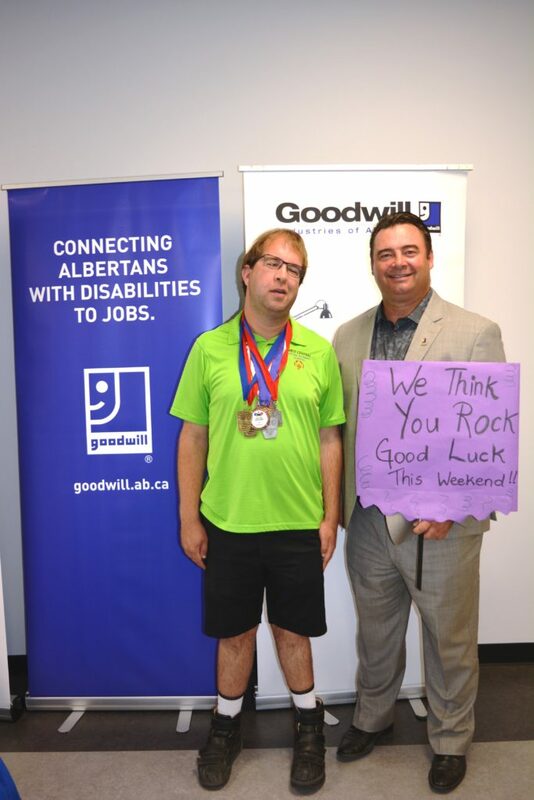 Goodwillians will cheer our Special Olympics athletes in Edmonton, Grande Prairie and Calgary, just before they head to the games in Medicine Hat from July 7-9. 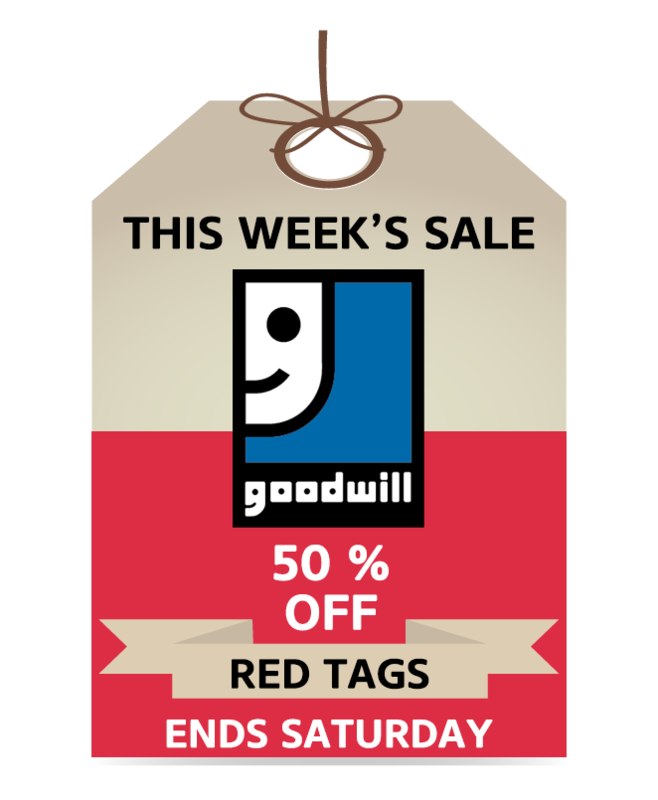 The send-offs are on Wednesday July 5, 10:30 am at the Edmonton Goodwill Impact centre, and in Grand Prairie at the Goodwill Store & Donation Centre. 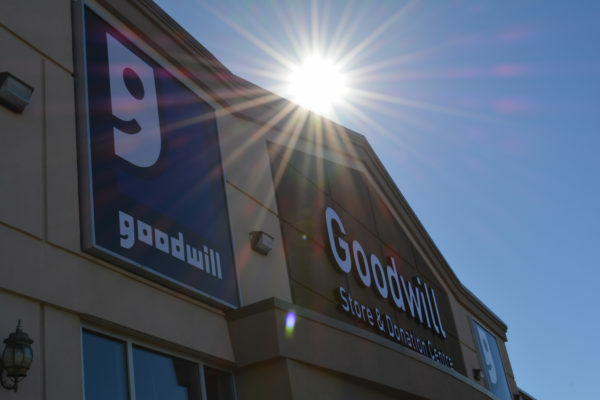 The Calgary send-off takes place Thursday July 6 at 10:30 am at Goodwill Chinook store. Our Special Olympics athletes will share their passion for their sport and are available for interviews at the send-offs. Melody Zeggelaar, an Edmonton athlete taking part in Goodwill’s Power of Work program, is eager to compete in track and field. 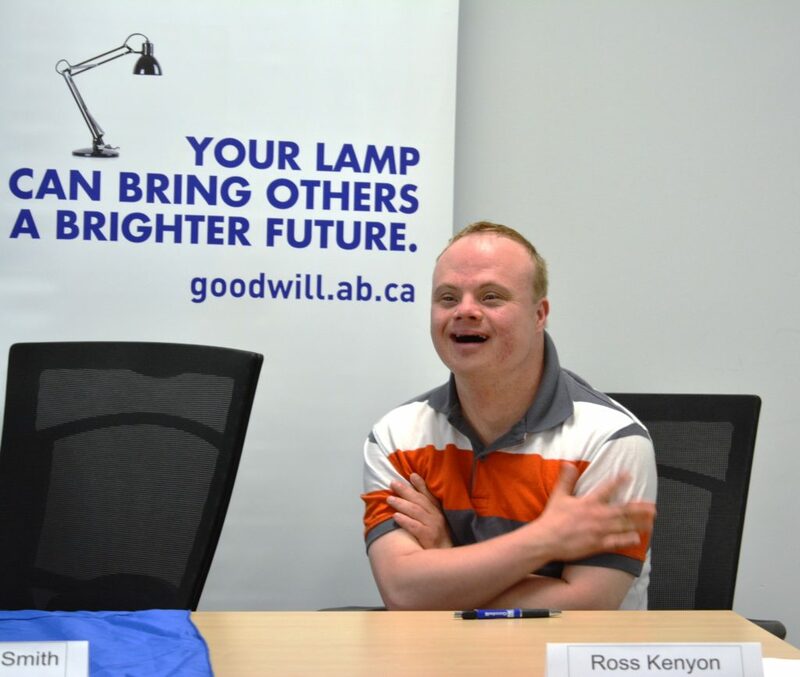 “What I like about the Special Olympics Alberta Summer Games is everybody gets to compete at their level and it’s all about meeting new people, I made a lot of new friends,” says Zeggelaar. 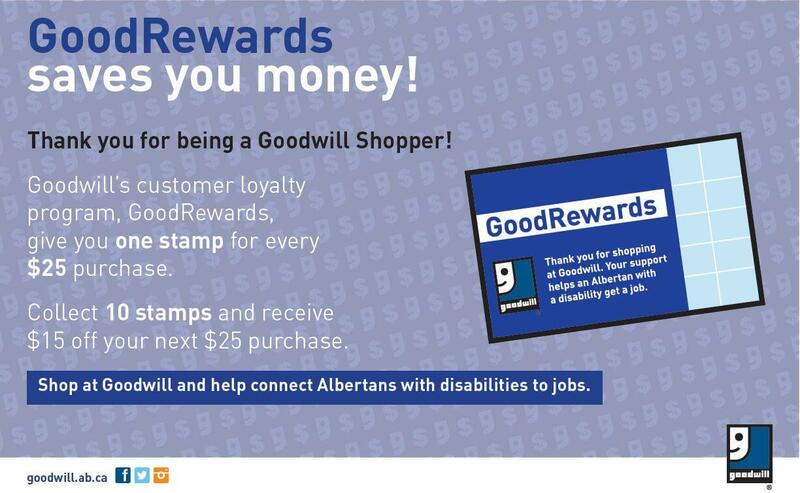 Goodwill is a non-profit dedicated to providing jobs and career training for Albertans with disabilities. A total of 20 Goodwillians from Edmonton, Calgary and Grand Prairie are going to the summer games. 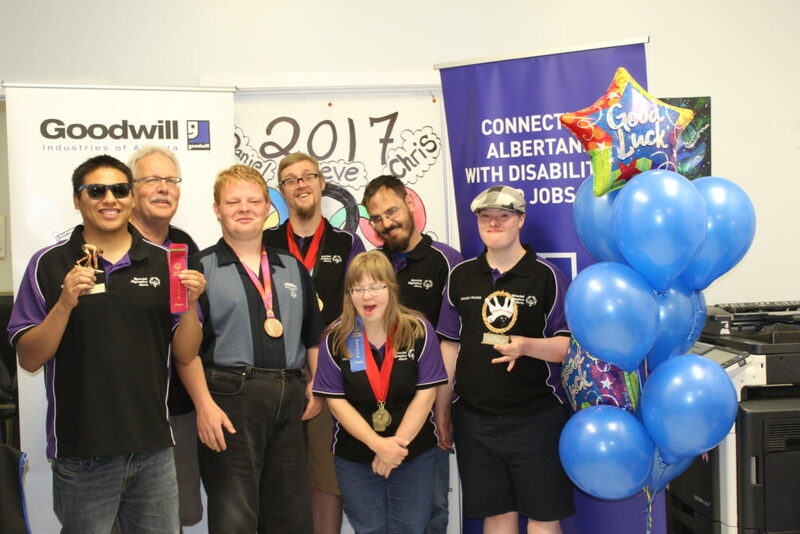 “The special Olympics Alberta Summer Games means so much for our Goodwill staff and Power of Work career training participants,” said Dale Monaghan, President and CEO of Goodwill Industries of Alberta. “Our Special Olympics athletes have been sharing their excitement and sense of pride about competing at the games daily with our Goodwill family,” adds Monaghan. 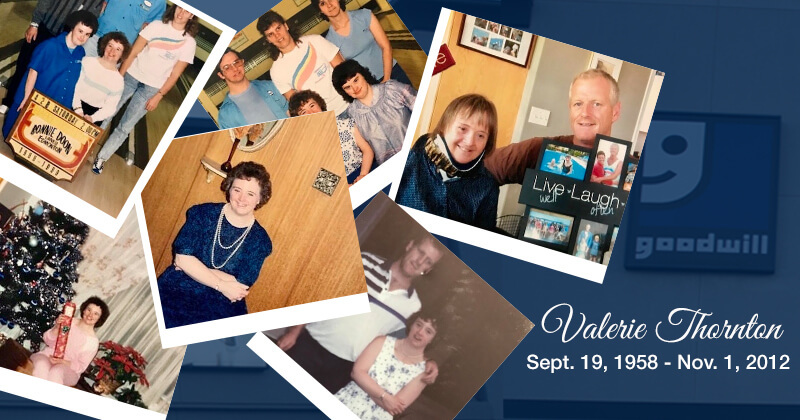 Athletes competing in the Special Olympics Alberta Summer Games have a shot at representing Alberta in the 2018 National Special Olympics Games in Antigonish, Nova Scotia. 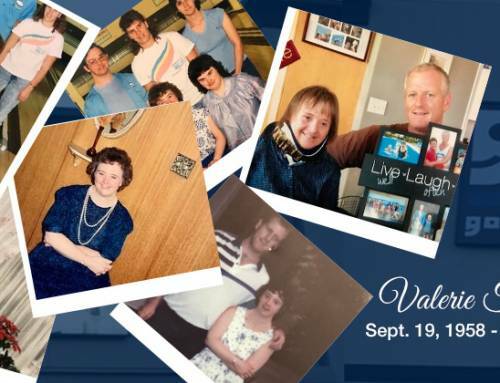 The Alberta Special Olympics Summer Games are held every four years.